The Meat Loaf musical will close on Saturday 5 January 2019. The show's Ledoux and frontman of deVience, Gio Spanó, descended upon #DL2018. The musical is open now at London's Dominion Theatre. 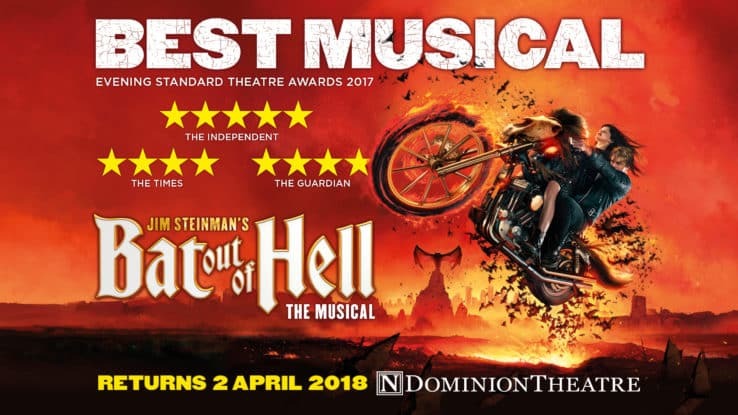 The Jim Steinman musical has returned to London, open now at the Dominion Theatre. The musical extravaganza returns to the West End in April 2018. The hit musical will return to London at the Dominion Theatre.